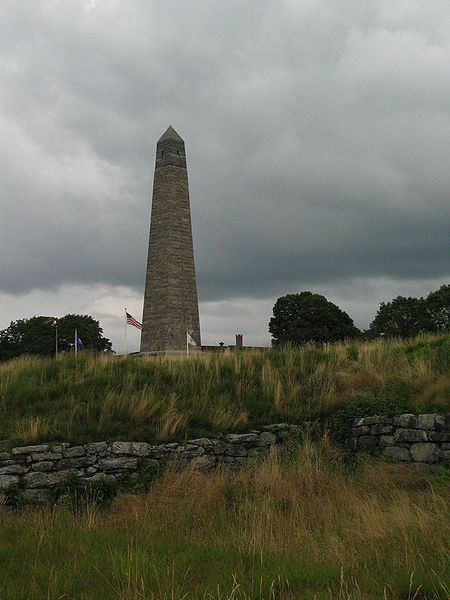 The Battle of Groton Heights was a battle of the American Revolutionary War fought on September 6, 1781 between a small Continental Army force led by William Ledyard and the more numerous British forces led by Benedict Arnold and Lieutenant Colonel Edmund Eyre. It resulted in a decisive British victory. 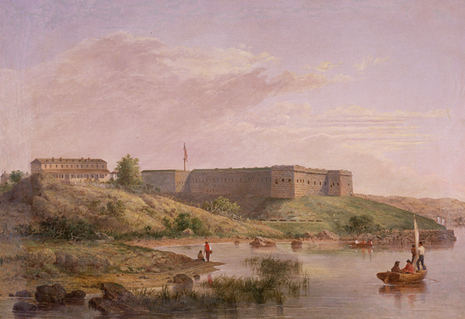 At sunrise on September 6, 1781, a large force of 1,700 British regulars landed on both sides of the river’s mouth. The people of the town could do nothing but evacuate. Several ships in the harbor escaped upstream. The 800-man detachment that Arnold led met with no resistance as it destroyed stockpiles of goods and naval stores. Under the orders given, much of the town was to be spared. Unknown to Arnold, however, at least one of the ships he was to burn contained a large quantity of gunpowder. When it ignited, the resulting explosion set fire to the surrounding buildings. The fire was soon uncontrollable and 143 buildings were consumed by flames.